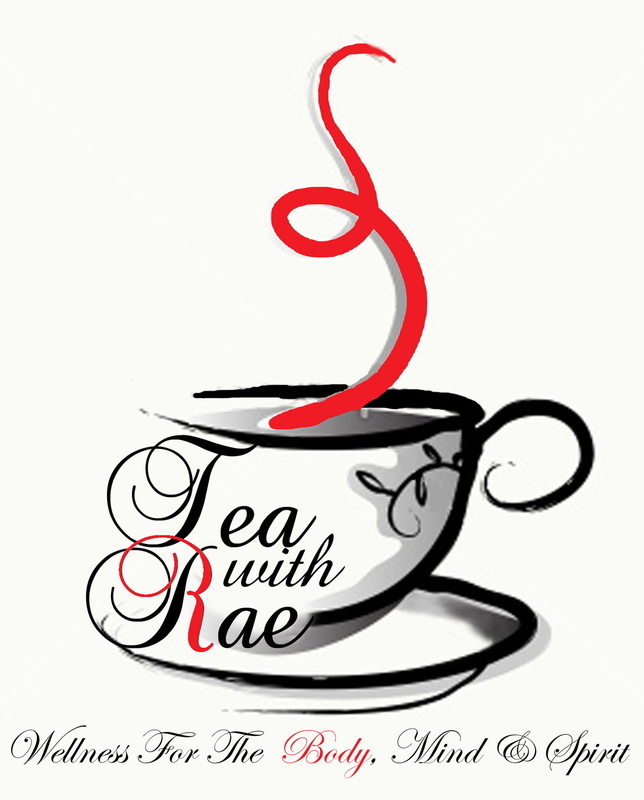 Rae Lewis-Thornton: Diva Living with AIDS: Tea With Rae: Green Ginger Tea With Power! I've been drinking a lot of ginger tea these days because of my ongoing stomach issues. Nausea, diarrhea, bloating, loss of appetite, it's just been a big fat mess that seems to have no ending. And as I've indicated, ginger tea clearly has health benefits when it comes to the digestive track. When I received my first group of tea to review from The Republic of Tea, I was happy that they had included a ginger tea. But honestly, my face fell straight to the floor when I saw that it was a green tea blend; green tea being my least favorite of all teas. But I know that many of my tea readers LOVE green tea and since we are on this tea journey together, I bit the bullet and eventually sat down with Organic Turmeric Ginger in my tea cup. I've said before that ginger is too strong for my taste buds. I need a ginger tea that is blended in some way. This particular tea fits the category. It is a perfect mix of turmeric, cinnamon, and honey flavoring, blended with green tea, lending it a spicy Chai-like flavor. The strong spices work perfectly with the earthy taste of green tea, while at the same time, the natural sweetness that comes from ginger makes it a perfect blend of sweet and spicy. The combination of green tea, turmeric, and ginger in this particular tea has some of the most amazing health benefits in just one tea cup. First, the power of green tea has had more visibility than any other tea. 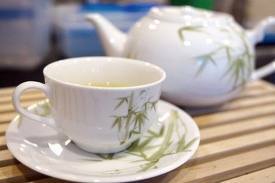 Specifically, green tea contains EECG a powerful anti-oxidant that slows down growth of cancer cells. It also lowers bad cholesterol (LDL) and prevents blood clots, which is important in preventing strokes and heart attacks. EECG is twice as strong as resveratrol, a substance found in red wine that also helps to prevent heart disease. So have a cup of green tea with your dinner instead of red wine. Additionally, the turmeric plant adds to the power of green. This plant, with a host of health benefits from lowing cholesterol to fighting cancer, is grown in South Asia and is typically used in Indian, Persian and Southeast Asian meals. 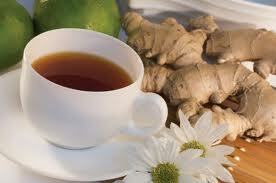 The power of ginger as an anti-nausea remedy has helped to reduce the sick feeling in my stomach. When you drink ginger tea the digestive juices are secreted which relax the muscles of the intestines and also reduces the acid in the stomach. It is often used as a natural remedy to reduce nausea for pregnant woman. There are also claims that ginger is an anti-inflammatory, and ladies it can help reduce menstrual cramps. The combined health benefits render this tea with a whole lot of power. 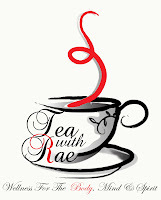 And when you pair that power with it's sweet and spicy taste, you have one outstanding tea. The benefits of this tea are just as wonderful as the packaging. It is no secret that loose tea hands down is better than bag tea. Loose teas tend to be fresher, but they also retain their natural oil and flavors. While The Republic of Tea does have loose teas, they have created a convenient package that maintains the quality of loose tea as much as possible. Their round tea bags are made with unbleached paper. It is free of chemicals and no chlorine-containing compounds are used in the paper. They are also free of glue, gluten-free and kosher certified. But the most important thing is that The Tea of Republic actually cuts their whole leaf teas to fit into the tea bags retaining the flavor of a loose tea. 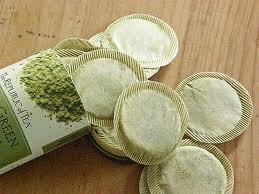 They also package their teas in an airtight tin as are most loose teas to also help retain it's freshness. 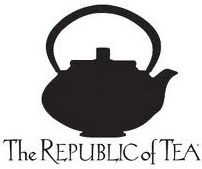 I love The Republic of Tea. On those days when I have no energy to go through the process of preparing loose teas, I can just throw a bag of their tea in a cup of hot water and enjoy the same quality of tea as if it were loose tea. I also travel with their tea. Often hotels in smaller towns and rural areas have plenty of hot water, but are short on tea choices. The tea snob that I am, I always come prepared!